I recently had a lipid panel drawn and was curious as to what it all means. Here is an article I came across . Hope it helps. What do these Rock stars have in common? Brian Jones, Jimi Hendrix, Janis Joplin, Jim Morrison, Kurt Cobain and Amy Winehouse. They all died at the age of 27! Why? They lived high risk lifestyles. The ones that are still around changed their lifestyles early! If you want to be healthy and live a longer life . Change your lifestyle to where you eat healthier by cutting down on processed foods, High fructose corn Syrup, Saccharine, and other artificial sweeteners. Read what the doctor has to say about it. Of course, if you live in the fast lane you can always supplement your system with essential oil’s. Thanks for visiting, until later your friend Bill. Posted on August 30, 2017 August 30, 2017 Categories Alternative medicine, Blogging 101, Essential Oils., Healing, Health, internet marketing, Marketing, Uncategorized, work from homeTags @billsilbaugh, Alternative medicine, alternative medicines, blogging 101, business, essential oils, food allergies, healing, health, healthcare, holistic medicine, internet marketing, nutrition, skin care, Spiritual, work from anywhere, work from home2 Comments on Do you want to be a rockstar? Working two or three jobs just trying to make ends meet. Living this kind of lifestyle it is hard to eat healthy! They grab fast food and gobble it down and they wonder why their Health deteriorates. The millennial generation does not think it’ll affect them but, you will get old. How would you like to live a happy and successful life style when you get older? It is possible if you treat your body right. Your body needs over 80 essential vitamins and minerals each day to function properly! Hope this helps. Until later your friend Bill. Posted on August 22, 2017 August 22, 2017 Categories Alternative medicine, Blogging 101, Essential Oils., Healing, Health, Holistic Medicines, internet marketing, Marketing, Uncategorized, work from homeTags Alternative medicine, alternative medicines, blogging 101, business, essential oils, healing, health, healthcare, holistic medicine, internet marketing, nutrition, skin care, work from homeLeave a comment on What good is it to gain the World if you lose your Health. A few of you were interested so I wanted to share what I ended up learning about essential oils. Using Certified Pure Therapeutic Grade essential oils internally are scientifically proven to be effective against bacteria, virus, and fungi! 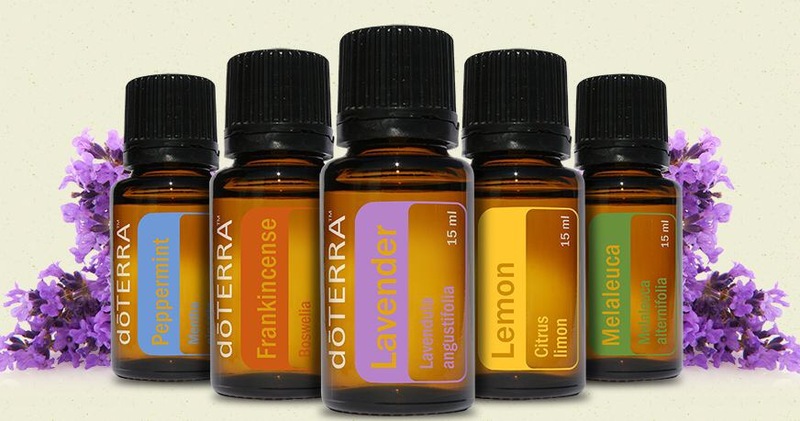 Using essential oils can help boost immunity against seasonal threats and cut down on sick days for the whole family. Hope this helps until later your friend Bill. Psalms 51:7 – Purge me with hyssop, and I shall be clean: wash me, and I shall be whiter than snow. In foods, hyssop oil and extract are used as a flavoring. In manufacturing, hyssop oil is used as a fragrance in soaps and cosmetics. Hyssop leaves have been used for centuries in teas. Hyssop tea has a lot of antibiotic properties which are produced from the leaves it’s made from, so drinking it may be a sure way to slow down and stop the growths of harmful bacteria in the body. The flavonoids present in it also have many antibiotic qualities to it which make it useful in helping to treat internal infections in the body such as throat and nasal infections. Hyssop can be used for colds and flu’s. Hyssop is an expectorant so it will relieve congestion. Take 2 teaspoons twice a day. Hyssop has proven itself as a beneficial antiseptic since it has the ability to help heal cuts and bruises when applied topically. Its antibacterial properties can also help prevent any open wounds from getting infected. This property also makes it useful in treating certain types of fungus on the skin as well. Some also claim that regular usage can reduce the appearance of wrinkles and offer relief for pain and swelling. Hyssop can be started in containers, indoors or outdoors. If you plant in a container make sure the pot is deep enough to accommodate a large root system. Sow seeds indoors or directly in the garden in early spring. Hyssop prefers full sun to partial shade with a well drained, even dry, soil. You can amend soil with organic matter. Sow seeds just beneath the surface, approximately ¼-inch deep. Germination generally takes between 14 and 21 days, but can take as long as a month, so be patient. Transplant if sown indoors after all threat of frost has passed. Space between 6 inches and 12 inches apart. On the cross Jesus was given a mixture of gall extended with a hyssop branch. As I was reading Jenness Jordan’s blog this morning, I was touched about her unwavering dedication to helping people along their journey through this life. She is providing a service alot of us only wish we could provide. Thank You Jenna. Stay tuned! I am about to reveal the true secret to Health, Wealth and Happiness. People spend a lot of money on healthcare products designed to produce a desired effect. Anti-aging, weight loss, skin care, general wellness, energy… the list is endless. Yes, Your right I provide all these. But, the one ingredient I can’t supply has to come from within the individual. Well it is not really a secret. It cannot be bought or sold. It is called balance! The Chinese call it the Ying and Yang. Sigmund Freud called it the Id, ego and superego. the FATHER, SON and HOLY SPIRIT. Jesus has many teachings about our physical, mental and spiritual health. GOD provides the balance in my life to achieve true health and happiness. The framework for living this life is found in the Bible I like to call it Basic Instructions Before Leaving Earth. Look it up and give it a try. there are many things that can’t be explained away like the healing effects of Prayer. Hope this helps. Thank You for visiting. Until later your friend Bill. Posted on November 4, 2016 November 4, 2016 Categories Blogging 101, Healing, HealthTags alternative medicines, blogging 101, healing, health, healthcare, skin care, Spiritual3 Comments on Do you want to stay Healthy?